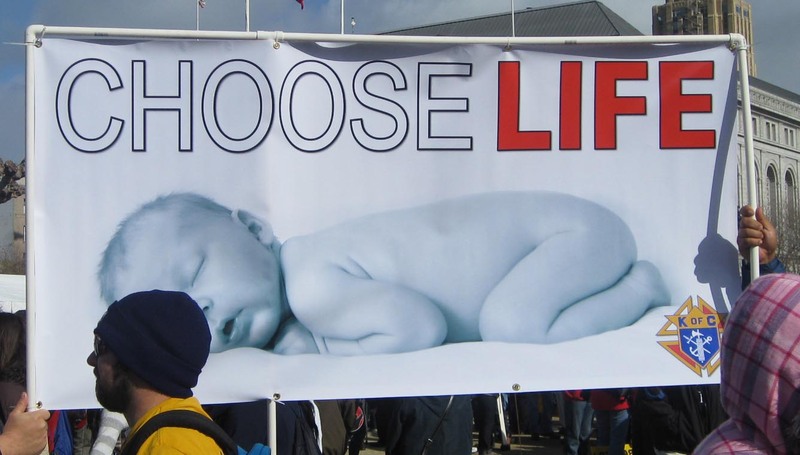 January 22 is the anniversary of the Roe vs Wade decision to make abortion legal in the United States, and this weekend marks that anniversary with the annual March for Life Convention in Washington D.C., concluding tomorrow with the 39th Annual March for Life on the National Mall. Events are taking place all over the country this weekend, to be in solidarity with the voices being heard in Washington. Saturday, I was privileged to participate in the Walk for Life – West Coast, arriving on bus number 32 (out of more than 200 buses reported!) in San Francisco. As Our Lady of Lourdes Parishioners began getting off the buses to assemble the signs for the rally and walk, the sky threatened rain with a light drizzle that kept on for half-an-hour, but it could not dampen our spirits, and in the end, the Lord gave us a beautiful sunny day to testify to Life! and our very own Bella - Babies are Hipsters too! One of my favorites - "Yeah Babies"
Father Frank Pavone happened to be waiting at a crosswalk with us for the light to change. 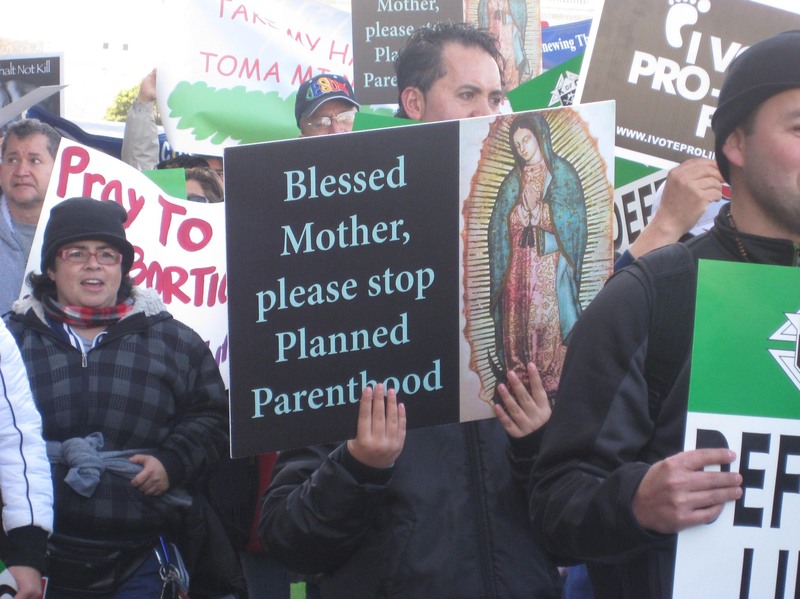 And, lots and lots of people out there to support both the mother and the child. 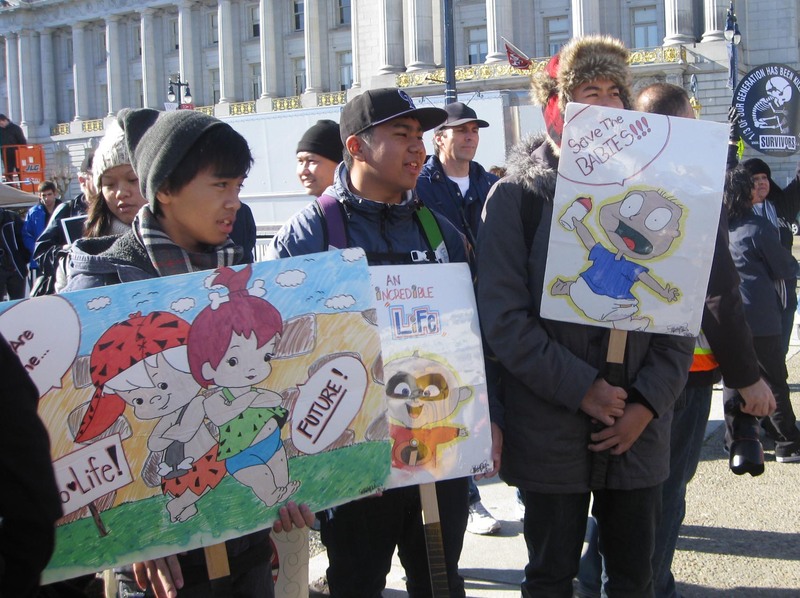 The day was a successful one, with some reports of over 50,000 coming into San Francisco for the walk. Let us pray that this year begins the ‘drastic shift’ back to a culture that embraces life in all its stages. 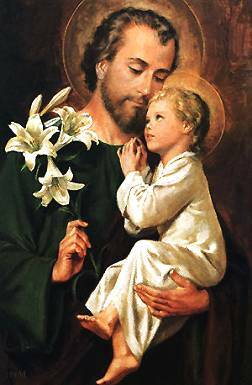 The Anchoress posted many great blog posts on the sanctity of life. THANK YOU! 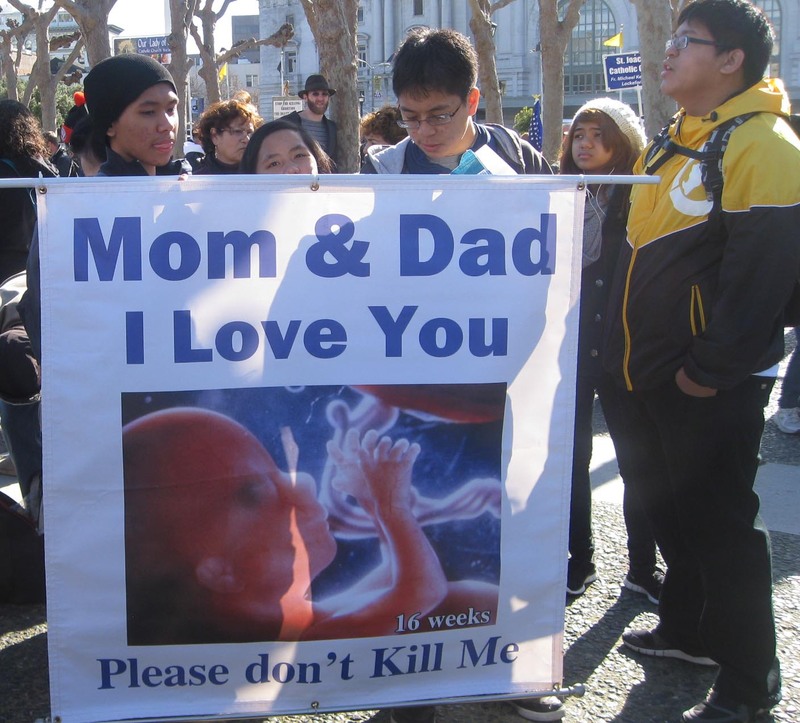 I know many people who look for news on the west Coast March for Life, and I’m so glad to have found your report here! I so love see the punk rocker there supporting life!